Este artículo trata sobre el dios nacional de los reinos de Judá e Israel. Para el concepto hebreo moderno de deidad, véase Dios. Para la vocalización del término "YHWH", véase Yahvéh. de acuerdo al número de seres divinos. El período de gobierno persa vio el desarrollo de las expectativas de un futuro rey humano que gobernaría en un Israel purificado en nombre de Yahweh al final de los tiempos; es decir, un mesías. Las primeras menciones a esto son de Haggai y de Zacarías, ambos profetas del período persa temprano. Veían al mesías en Zerubbabel, un descendiente de la casa de David que pareció, brevemente, estar a punto de reestablecer la antigua casa, o en Zerubbabel y el primer Sumo Sacerdote, Josué (Zacarías habla de dos mesías, uno real y otro sacerdotal). Estas esperanzas fueron frustradas rápidamente (Zerubabbel desapareció de los registros históricos, aunque los Sumos Sacerdotes continuaron la línea de Josué), y luego hay meras referencias generales a un Mesías descendiente de David.​​ De estas ideas emergerían luego el Cristianismo, el judaísmo rabínico, y el Islam. ↑ para las variantes de este texto, ver Smith, 2010, páginas 139–140 y también capítulo 4. ↑ Van Der Toorn, 1999, p. 766. ↑ Edelman, 1995, p. 190. ↑ a b Miller, 1986, p. 110. ↑ Smith, 2010, p. 96-98. ↑ Dijkstra, 2001, p. 92. ↑ Dever, 2003b, p. 128. ↑ Hackett, 2001, pp. 158–59. ↑ Smith, 2002, p. 72. ↑ Wyatt, 2010, pp. 69–70. ↑ a b c d Betz, 2000, p. 917. ↑ Kaiser, 2017, p. unpaginated. ↑ Parke-Taylor, 1975. "The view adopted by this study is as follows. The ehyeh aser ehyeh clause in Exodus 3:14 is a relatively late attempt to explain the divine name by appeal to the root hayah the verb "to be."" ↑ Day, 2002, p. 15. ↑ Dever, 2003b, p. 125. ↑ Miller, 2000, p. 2. ↑ Kaiser, 2017, p. sin páginas. ↑ Day, 2002, p. 13-14. ↑ Freedman, O'Connor y Ringgren, 1986, p. 520. ↑ Anderson, 2015, p. 510. ↑ Grabbe, 2007, p. 151. ↑ Dicou, 1994, pp. 167–81, 177. ↑ Anderson, 2015, p. 101. ↑ Grabbe, 2007, p. 153. ↑ Van der Toorn, 1999, p. 912. ↑ Van der Toorn, 1999, pp. 912–13. ↑ a b Van der Toorn, 1999. ↑ Van der Toorn, 1995, pp. 247–48. ↑ Noll, 2001, p. 124–126. ↑ Cook, 2004, p. 7. ↑ a b c Coogan y Smith, 2012, p. 8. ↑ a b Smith, 2002, p. 32. ↑ Smith, 2002, p. 33. ↑ a b Hess, 2007, p. 103. ↑ Coogan y Smith, 2012, p. 7–8. ↑ Handy, 1994, p. 101. ↑ a b c d e Smith, 2002. ↑ Hackett, 2001, p. 158–159. ↑ Hackett, 2001, p. 160. ↑ Grabbe, 2010, p. 184. ↑ Noll, 2001, p. 251. ↑ Schniedewind, 2013, p. 93. ↑ Smith, 2010, p. 119. ↑ Hackett, 2001, p. 156. ↑ a b c Davies, 2010, p. 112. ↑ Miller, 2000, p. 90. ↑ Petersen, 1998, p. 23. ↑ a b Albertz, 1994, p. 89. ↑ Gorman, 2000, p. 458. ↑ Davies y Rogerson, 2005, pp. 151–52. ↑ Gnuse, 1997, p. 118. ↑ Davies y Rogerson, 2005, pp. 158–65. ↑ Cohen, 1999, p. 302. ↑ Dever, 2003a, p. 388. ↑ Bennett, 2002, p. 83. ↑ Mettinger, 2006, pp. 288–90. ↑ MacDonald, 2007, pp. 21, 26–27. ↑ a b Vriezen y van der Woude, 2005. ↑ a b c d Hess, 2012. ↑ a b Albertz, 1994, p. 61. ↑ Gnuse, 1997, p. 214. ↑ Romer, 2014, p. unpaginated. ↑ Smith, 2001, p. 140. ↑ Smith, 2002, pp. 33, 47. ↑ Niehr, 1995, pp. 54, 57. ↑ a b c d Barker, 2012. ↑ a b Ackerman, 2003, p. 395. ↑ Day, 2002, p. 143. ↑ Smith, 2002, p. 47. ↑ Smith, 2002, p. 74. ↑ a b Coogan, Brettler y Newsom, 2007, p. xxii. ↑ Grabbe, 2010, p. 2–3. ↑ Davies y Rogerson, 2005, p. 89. ↑ a b c Coogan, Brettler y Newsom, 2007, p. xxiii. ↑ Berquist, 2007, p. 3–4. ↑ Grabbe, 2010, p. 40–42. ↑ a b c d e Leech, 2002. ↑ Coogan, Brettler y Newsom, 2007, p. xxvi. ↑ Wanke, 1984, p. 182-183. ↑ Albertz, 2003, p. 130. ↑ a b McDonough, 1999. ↑ a b Smith y Cohen, 1996a. Ackerman, Susan (2003). «Goddesses». En Richard, Suzanne. Near Eastern Archaeology:A Reader. Eisenbrauns. ISBN 978-1-57506-083-5. Ahlström, Gösta Werner (1991). «The Role of Archaeological and Literary Remains in Reconstructing Israel's History». En Edelman, Diana Vikander. The Fabric of History: Text, Artifact and Israel's Past. A&C Black. ISBN 9780567491107. Albertz, Rainer (1994). A History of Israelite Religion, Volume I: From the Beginnings to the End of the Monarchy. Westminster John Knox. ISBN 9780664227197. Allen, Spencer L. (2015). The Splintered Divine: A Study of Istar, Baal, and Yahweh Divine Names and Divine Multiplicity in the Ancient Near East. Walter de Gruyter. ISBN 9781501500220. Anderson, James S. (2015). Monotheism and Yahweh's Appropriation of Baal. Bloomsbury. ISBN 9780567663962. Barker, Margaret (1992). The Great Angel: A Study of Israel's Second God. Westminster John Knox Press. ISBN 9780664253950. Becking, Bob (2001). «The Gods in Whom They Trusted». En Becking, Bob. Only One God? : Monotheism in Ancient Israel and the Veneration of the Goddess Asherah. A&C Black. ISBN 9780567232120. Bennett, Harold V. (2002). Injustice Made Legal: Deuteronomic Law and the Plight of Widows, Strangers, and Orphans in Ancient Israel. Eerdmans. ISBN 9780802839091. Berquist, Jon L. (2007). Approaching Yehud: New Approaches to the Study of the Persian Period. SBL Press. ISBN 9781589831452. Betz, Arnold Gottfried (2000). «Monotheism». En Freedman, David Noel; Myer, Allen C. Eerdmans Dictionary of the Bible. Eerdmans. ISBN 978-9053565032. Betz, Hans Dieter (1996). The Greek Magical Papyri in Translation Including the Demonic Spells (2 edición). Chicago, Illinois: University of Chicago Press. ISBN 978-0226044477. Chalmers, Aaron (2012). Exploring the Religion of Ancient Israel: Prophet, Priest, Sage and People. SPCK. ISBN 9780281069002. Arnold, Clinton E. (1996). The Colossian Syncretism: The Interface Between Christianity and Folk Belief at Colossae. Eugene, Oregon: Mohr Siebeck. ISBN 978-1-4982-1757-6. Cohen, Shaye J.D. (1999). «The Temple and the Synagogue». En Finkelstein, Louis; Davies, W. D.; Horbury, William. The Cambridge History of Judaism: Volume 3, The Early Roman Period. Cambridge University Press. ISBN 9780521243773. Cohn, Norman (2001). Cosmos, Chaos, and the World to Come: The Ancient Roots of Apocalyptic Faith. Yale University Press. ISBN 978-0300090888. Coogan, Michael David; Brettler, Marc Zvi; Newsom, Carol Ann (2007). «Editors' Introduction». En Coogan, Michael David; Brettler, Marc Zvi; Newsom, Carol Ann. The New Oxford Annotated Bible with the Apocryphal/Deuterocanonical Books. Oxford University Press. ISBN 9780195288803. Coogan, Michael D.; Smith, Mark S. (2012). Stories from Ancient Canaan (2nd Edition). Presbyterian Publishing Corp. ISBN 978-9053565032. Cook, Stephen L. (2004). The Social Roots of Biblical Yahwism. Society of Biblical Literature. ISBN 9781589830981. Darby, Erin (2014). Interpreting Judean Pillar Figurines: Gender and Empire in Judean Apotropaic Ritual. Mohr Siebeck. ISBN 9783161524929. Davies, Philip R.; Rogerson, John (2005). The Old Testament World. Westminster John Knox. ISBN 9780567084880. Davies, Philip R. (2010). «Urban Religion and Rural Religion». En Stavrakopoulou, Francesca; Barton, John. Religious Diversity in Ancient Israel and Judah. Continuum International Publishing Group. ISBN 9780567032164. Day, John (2002). Yahweh and the Gods and Goddesses of Canaan. Continuum. ISBN 9780567537836. Dever, William G. (2003a). «Religion and Cult in the Levant». En Richard, Suzanne. Near Eastern Archaeology:A Reader. Eisenbrauns. ISBN 978-1-57506-083-5. Dever, William G. (2003b). Who Were the Early Israelites and Where Did They Come From. Eerdmans. ISBN 9780802844163. Dicou, Bert (1994). Edom, Israel's Brother and Antagonist: The Role of Edom in Biblical Prophecy and Story. A&C Black. ISBN 9781850754589. Dijkstra, Meindert (2001). «El the God of Israel-Israel the People of YHWH: On the Origins of Ancient Israelite Yahwism». En Becking, Bob; Dijkstra, Meindert; Korpel, Marjo C.A. et al.. Only One God? : Monotheism in Ancient Israel and the Veneration of the Goddess Asherah. A&C Black. ISBN 9781841271996. Eakin, Frank E. Jr. The Religion and Culture of Israel (Boston: Allyn and Bacon, 1971), 70 and 263. Edelman, Diana V. (1995). «Tracking Observance of the Aniconic Tradition». En Edelman, Diana Vikander. 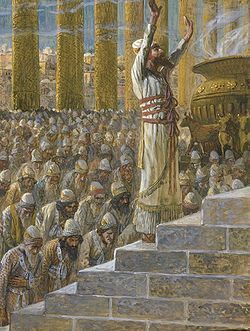 The Triumph of Elohim: From Yahwisms to Judaisms. Peeters Publishers. ISBN 978-9053565032. Elior, Rachel (2006). «Early Forms of Jewish Mysticism». En Katz, Steven T. The Cambridge History of Judaism: The Late Roman-Rabbinic Period. Cambridge University Press. ISBN 9780521772488. Finkelstein, Israel; Silberman, Neil Asher (2002). The Bible Unearthed: Archaeology's New Vision of Ancient Israel and the Origin of Sacred Texts. Simon and Schuster. ISBN 9780743223386. Freedman, D.N. ; O'Connor, M.P. ; Ringgren, H. (1986). «YHWH». En Botterweck, G.J. ; Ringgren, H. Theological Dictionary of the Old Testament 5. Eerdmans. ISBN 9780802823298. Frerichs, Ernest S. (1998). The Bible and Bibles in America. Scholars Press. ISBN 9781555400965. Gnuse, Robert Karl (1997). No Other Gods: Emergent Monotheism in Israel. Continuum. ISBN 9780567374158. Gnuse, Robert (1999). «The Emergence of Monotheism in Ancient Israel: A Survey of Recent Scholarship». Religion 29 (4): 315-36. doi:10.1006/reli.1999.0198. Gorman, Frank H., Jr. (2000). «Feasts, Festivals». En Freedman, David Noel; Myers, Allen C. Eerdmans Dictionary of the Bible. Amsterdam University Press. ISBN 978-1-57506-083-5. Grabbe, Lester L. (2010). 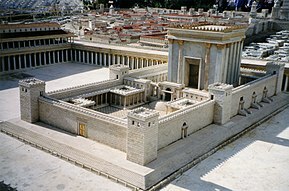 An Introduction to Second Temple Judaism. A&C Black. ISBN 9780567552488. Grabbe, Lester (2010). «'Many nations will be joined to YHWH in that day': The question of YHWH outside Judah». En Stavrakopoulou, Francesca; Barton, John. Religious diversity in Ancient Israel and Judah. Continuum International Publishing Group. ISBN 978-0-567-03216-4. Grabbe, Lester (2007). Ancient Israel: What Do We Know and How Do We Know It?. A&C Black. ISBN 9780567032546. Hackett, Jo Ann (2001). «'There Was No King In Israel': The Era of the Judges». En Coogan, Michael David. The Oxford History of the Biblical World. Oxford University Press. ISBN 978-0-19-513937-2. Halpern, Baruch; Adams, Matthew J. (2009). From Gods to God: The Dynamics of Iron Age Cosmologies. Mohr Siebeck. ISBN 9783161499029. Handy, Lowell K. (1994). Among the Host of Heaven: The Syro-Palestinian Pantheon as Bureaucracy. Eisenbrauns. ISBN 9780931464843. Hess, Richard S. (2007). Israelite Religions: An Archaeological and Biblical Survey. Baker Academic. ISBN 9780801027178. Hoffman, Joel (2004). In the Beginning: A Short History of the Hebrew Language. NYU Press. ISBN 9780814737064. Humphries, W. Lee (1990). «God, Names of». En Mills, Watson E.; Bullard, Roger Aubrey. Mercer Dictionary of the Bible. Mercer University Press. ISBN 9780865543737. Kaiser, Walter C., Jr. (2017). Exodus. Zondervan. ISBN 9780310531739. Keel, Othmar (1997). The Symbolism of the Biblical World: Ancient Near Eastern Iconography and the Book of Psalms. Eisenbrauns. ISBN 9781575060149. Lemche, Niels Peter (1998). The Israelites in History and Tradition. Westminster John Knox Press. ISBN 9780664227272. Levin, Christoph (2013). Re-Reading the Scriptures: Essays on the Literary History of the Old Testament. Mohr Siebeck. ISBN 9783161522079. Mafico, Temba L.J. (1992). «The Divine Name Yahweh Alohim from an African Perspective». En Segovia, Fernando F.; Tolbert, Mary Ann. Reading from this Place: Social Location and Biblical Interpretation in Global Perspective 2. Fortress Press. ISBN 9781451407884. Mastin, B.A. (2005). 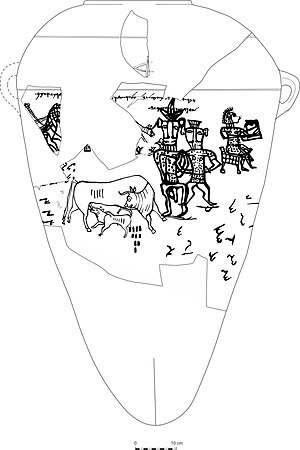 «Yahweh's Asherah, Inclusive Monotheism and the Question of Dating». En Day, John. In Search of Pre-Exilic Israel. Bloomsbury. ISBN 9780567245540. McKenzie, John L. "Aspects of Old Testament Thought" in Raymond E. Brown, Joseph A. Fitzmyer, and Roland E. Murphy, eds., The New Jerome Biblical Commentary (New Jersey: Prentice Hall, 1990), 1287, S.v. 77:17. Mettinger, Tryggve N.D. (2006). «A Conversation With My Critics: Cultic Image or Aniconism in the First Temple?». En Amit, Yaira; Naʼaman, Nadav. Essays on Ancient Israel in Its Near Eastern Context. Eisenbrauns. ISBN 9781575061283. Meyers, Carol (2001). «Kinship and Kingship: The early Monarchy». En Coogan, Michael David. The Oxford History of the Biblical World. Oxford University Press. ISBN 978-0-19-513937-2. MacDonald, Nathan (2007). «Aniconism in the Old Testament». En Gordon, R.P. The God of Israel. Cambridge University Press. ISBN 9780521873659. Miller, Patrick D (1986). A History of Ancient Israel and Judah. Westminster John Knox Press. ISBN 9780664212629. Moore, Megan Bishop; Kelle, Brad E. (2011). Biblical History and Israel's Past: The Changing Study of the Bible and History. Eerdmans. ISBN 9780802862600. Niehr, Herbert (1995). «The Rise of YHWH in Judahite and Israelite Religion». En Edelman, Diana Vikander. The Triumph of Elohim: From Yahwisms to Judaisms. Peeters Publishers. ISBN 978-9053565032. Noll, K.L. (2001). Canaan and Israel in Antiquity: An Introduction. A&C Black. ISBN 9781841272580. Petersen, Allan Rosengren (1998). 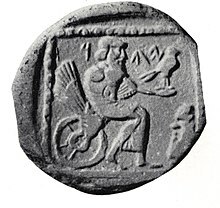 The Royal God: Enthronement Festivals in Ancient Israel and Ugarit?. A&C Black. ISBN 9781850758648. Romer, Thomas (2014). The Invention of Yahweh. Harvard University Press. ISBN 9780674915756. Schniedewind, William M. (2013). A Social History of Hebrew: Its Origins Through the Rabbinic Period. Yale University Press. ISBN 9780300176681. Smith, Mark S. (2000). «El». En Freedman, David Noel; Myer, Allen C. Eerdmans Dictionary of the Bible. Eerdmans. ISBN 9789053565032. Smith, Mark S. (2001). The Origins of Biblical Monotheism: Israel's Polytheistic Background and the Ugaritic Texts. Oxford University Press. ISBN 9780195167689. Smith, Mark S. (2002). The Early History of God: Yahweh and the Other Deities in Ancient Israel (2nd edición). Eerdmans. ISBN 9780802839725. Smith, Mark S. (2003). «Astral Religion and the Divinity». En Noegel, Scott; Walker, Joel. Prayer, Magic, and the Stars in the Ancient and Late Antique World. Penn State Press. ISBN 978-0271046006. Smith, Mark S. (2010). God in Translation: Deities in Cross-Cultural Discourse in the Biblical World. Eerdmans. ISBN 9780802864338. Smith, Morton (1984). «Jewish Religious Life in the Persian Period». En Finkelstein, Louis. The Cambridge History of Judaism: Volume 1, Introduction: The Persian Period. Cambridge University Press. ISBN 9780521218801. Smith, Morton; Cohen, Shaye J.D. (1996a). Studies in the Cult of Yahweh: Volume One: Studies in Historical Method, Ancient Israel, Ancient Judaism. Leiden, The Netherlands, New York City, New York, and Cologne, Germany: E. J. Brill. ISBN 978-90-04-10477-8. Smith, Morton; Cohen, Shaye J.D. (1996b). Studies in the Cult of Yahweh: Volume Two: New Testament, Christianity, and Magic. Leiden, The Netherlands, New York City, New York, and Cologne, Germany: E. J. Brill. pp. 242-56. ISBN 978-90-04-10479-2. Sommer, Benjamin D. (2011). «God, names of». En Berlin, Adele; Grossman, Maxine L. The Oxford Dictionary of the Jewish Religion. Oxford University Press. ISBN 9780199730049. Van der Toorn, Karel (1995). «Ritual Resistance and Self-Assertion». En Platvoet, Jan. G.; Van der Toorn, Karel. Pluralism and Identity: Studies in Ritual Behaviour. BRILL. ISBN 978-9004103733. Van der Toorn, Karel (1999). «Yahweh». En Van der Toorn, Karel; Becking, Bob; Van der Horst, Pieter Willem. Dictionary of Deities and Demons in the Bible. Eerdmans. ISBN 9780802824912. Van der Toorn, Karel (1996). Family Religion in Babylonia, Ugarit and Israel: Continuity and Changes in the Forms of Religious Life. BRILL. ISBN 978-9004104105. Wyatt, Nicolas (2010). «Royal Religion in Ancient Judah». En Stavrakopoulou, Francesca; Barton, John. Religious Diversity in Ancient Israel and Judah. Continuum International Publishing Group. ISBN 978-0-567-03216-4. Esta página se editó por última vez el 21 abr 2019 a las 08:41.